Powell & Roman, LLC is a firm that provides a wide range of legal services throughout New Jersey and New York. We encourage anyone in need of legal assistance to contact our firm and ask to speak with one of our experienced attorneys. Whether you are an insurance professional seeking reliable counsel or an individual seeking assistance with a business transaction, trademark or copyright issue, or any other legal matter, we are committed to providing a level of service that exceeds your expectations. We have a broad range of legal experience and our sensitivity to the economic needs of clients enables us to provide quality legal representation in a cost-effective manner. We offer legal services to domestic, foreign and alien insurers in the admitted and non-admitted markets providing coverage opinions, claim value analysis, resolution strategy, and subrogation reviews on a nationwide basis. We litigate coverage disputes in NY and NJ and defend policyholders in general and professional liability lawsuits. We provide consulting and litigation services to corporations, partnerships, and individual entrepreneurs. 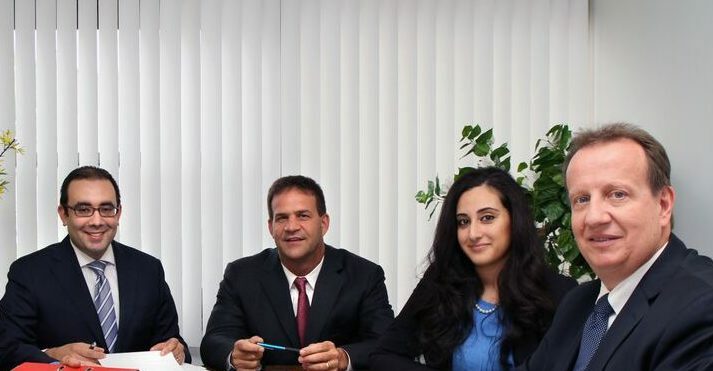 We offer over twenty-eight years of experience in business formation and management, business acquisition, contract negotiation, commercial real estate, construction law, franchise law and commercial litigation. Our Intellectual Property attorneys represent companies and individuals in all aspects of trademark and copyright procurement, counseling, and litigation. We will help you protect your logo, mark, brand name and creative works. We also handle infringement claims and work with you to maintain your registrations.